Spring Sports are quickly approaching and Athletes and Parents are reminded that all athletes must be registered on Final Forms, have all required forms as listed on Final Forms completed by both the athlete and their parent and must have a valid Pre-Participation Physical exam on file with the school prior to being permitted to participate in a tryout or practice. Students who have not completed the registration process on Final Forms and/or do not have a valid physical on file will not be permitted to tryout. Pre-Participation Physical forms can be turned in to the Athletic Office, Monday through Friday 8:00am-3:00pm. 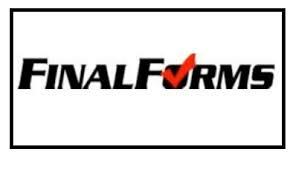 Student's who have previously registered for a fall or winter sport in Final Forms must simply ensure they've registered / selected their spring sport in Final Forms, students do not need to create a new account.